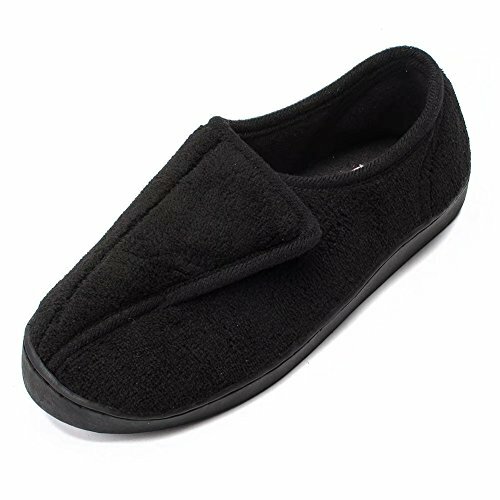 These diabetic slippers have a smart, understated design which makes them ideal for women who are looking for a comfortable, adjustable slipper that looks like a standard slipper or shoe rather than an orthopedic device. 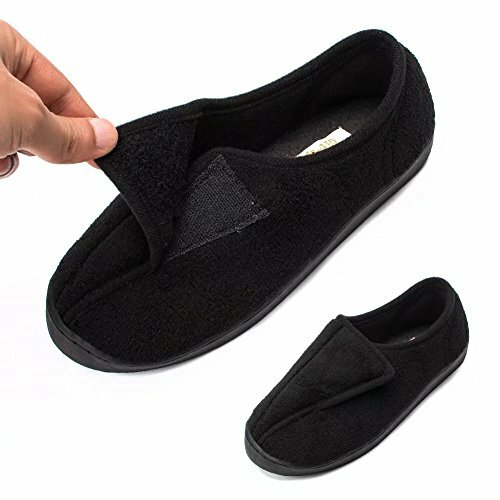 These slippers feature an adjustable hook and loop design that lets you adjust them to your feet depending on how swollen they are at the time. 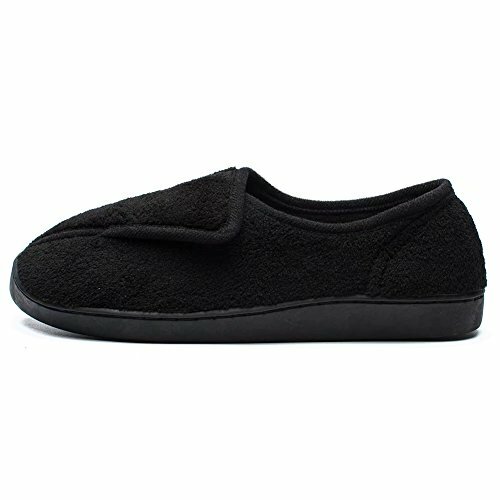 While these slippers are marketed as being for pregnant women who are suffering from edema or gestational diabetes, they are ideal for senior citizens who are experiencing swelling too. The memory foam design and slip-resistant sole means that they are great for both indoor and outdoor use and will keep you comfortable at all times. 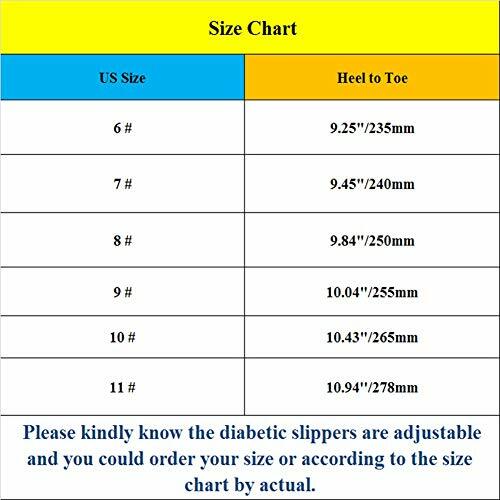 These diabetic slippers come in three different colors and a range of sizes, although only whole sizes are offered, and there are no width options. The adjustable nature of the upper, however, means that the slipper should suit most widths. The design is closed toe, but the upper is soft and will not cut into the foot. This is a vital feature for anyone who is suffering from diabetes-related foot complications. 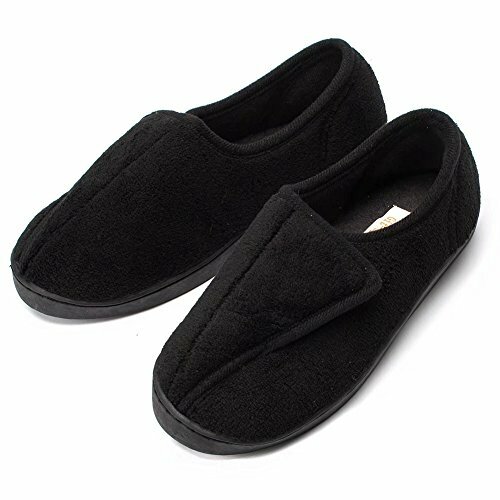 The thick cushioning makes it a pleasure to walk in these slippers, and they are popular with people who have plantar fasciitis, as well as other mobility complaints. The shoe is machine washable and easy to take care of. It is primarily intended for indoor use but the soles are durable enough to cope with light outdoor use, making them suitable for older people who perhaps lack the manual dexterity to put on or remove shoes with a more traditional design. 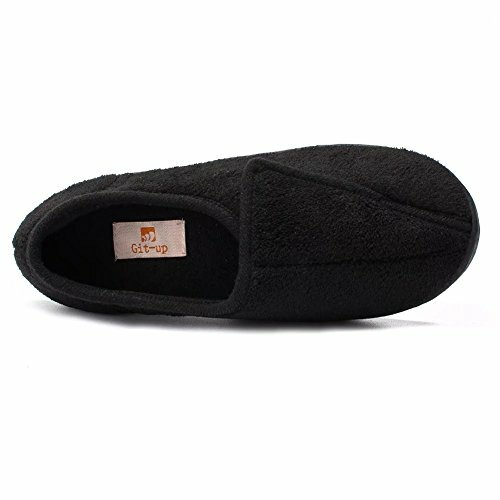 If you are looking for a durable and high-quality slipper it’s hard to go wrong with Git-Up. The fluffy upper is comfortable and warm, while the sole is both durable and flexible. The slippers have been designed to offer comfort and support to delicate feet. 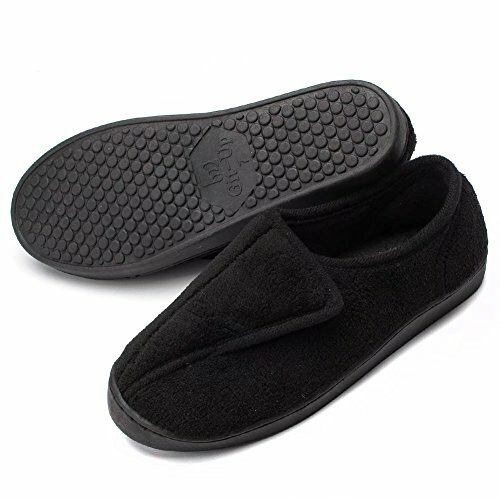 While they are marketed at women, the black slipper is smart and understated and would be a great choice for older men who have small feet. The cream design is ideal as a unisex option too. CLASSIC & BREATHABLE KNITTED UPPER: Soft Striped knitted upper, co-ordinate with fresh colors, this design may get rid of your worries with sweat moisture. Hand and machine washable is available, and the slippers should be placed in a cool place and dry naturally. ADJUSTABLE & FLEXIBLE DESIGN: Added with the magical buckle flexible fastener, it takes easy to adjust to the width of feet. They may tend to be an excellent nest for arthritis and swollen feet of all ages. 14mm Memory Foam Lining brings no pressures to you. GREAT SUPPORT WITH THICKENED CUSHIONING: The cushioned memory foam molds to your feet unique shape for a custom fit and then retain their shape. It also helps relieve pressure and improve support for a healthier posture for a expectant mom. DURABLE & SLIP-RESISTANT RUBBER SOLE: The durable rubber sole with anti-skid texture at the bottom is perfect for both indoor and outdoor. SATISFACTION GUARANTEE With Git-up, you are taking no risk with your purchase. We offer a 100% no risk money back guarantee if you are not satisfied with your purchase for any reason. Just tell us and we will do our best to give you the most satisfactory solution. Please check our storefront for more slipper styles and other deals that are waiting for you!